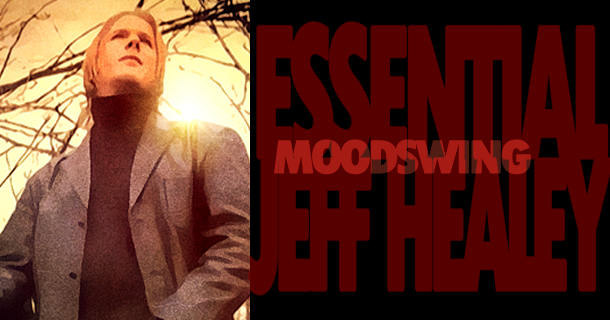 One of two tracks on Heal My Soul written by Toronto indie legends, the Phantoms (Jerome Godboo, Ben Richardson, Joe Tool & Greg Tunis), Moodswing is Jeff Healey like you’ve never heard before. Steeped in swampy tone, the track simply oozes groove. From the opening notes, as Jeff’s wah-wah-ed out guitar cuts through the silence, thick with attitude, you know you’re in for a journey. Jeff lets loose as the band kicks in… long soaring notes slicing through a crushing rhythm. By the time the first verse slinks into your ears, Jeff’s voice has hooked you. Jerome’s evocative lyrics and Jeff’s effects laden background vocals lend Moodswing an otherworldly atmosphere. You can feel the heat coming out of your speakers. The power in Jeff’s vocals is undeniable. He alternates between a low, conspiratorial tone of desire and a powerful proclamation of intent, all tied together by sweet affected harmonies. The relentlessly emotive guitar throughout serves as an incredible counterpoint, pushing the song higher. With Jerome’s blessing, we are very proud to be able to share with you the promotional lyric video we produced for the track back in 2016. It was only shown briefly back when Heal My Soul was first released, almost 2 years ago. Enjoy! Excellent as always, sadly never got the chance to see him live but i remember jumping up and down on the sofa first time i watched him on t.v. outstanding! Jeff was truly an inspirational player to watch and listen, his music was alway touch my soul! With his own songs, cover tunes or his personal take on tunes of other peoples originals always managed to tough me, surprise me and leave me wanting more! I was and still feel that way about his music and remember fondly of the few times I meet him! R.I.P. and Keep flying high with the notes !!!!!! !